I was scrolling through Twitter when I saw this graphic appear on my feed. The quote is from the Facebook’s COO, Sheryl Sandberg. I first heard of Sandberg when I watched her Ted Talk. I thought her talk was inspiring and just what women at work needed to hear. I loved when she said women need to sit at the table, and think they still need to hear this. He speech motivated me to step up my leadership skills at work. Listening to Sandberg’s talk led me to read her book, which I had varying thoughts on. Anyways, back to the quote. When I first started seeing it around the internet, I was again inspired. Yes, I thought. Let’s raise girls to be the boss of the playground, the leader of their girl group. Let’s start acknowledging their smarts, not just their looks. Let’s raise them to be the great leaders we know they can be. I want every little girl who’s told she’s bossy to be told instead that she has leadership skills. However, the more I thought about this idea, the more I wondered if it is what we should be telling girls (or any bossy kid for that matter). Because really, is being bossy the same thing as leading? When I think of the “boss” the first person that comes to mind is the one from Office Space. 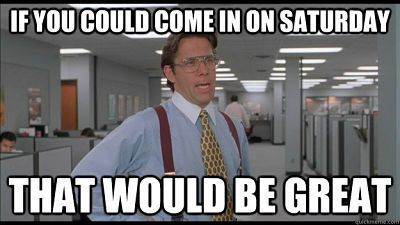 He strolls around telling his underlings to come in on Saturday with last minute notice and micromanages TPS reports. I think we can all agree that he does not have Leadership Skills. I get it. We want girls to feel confident and empowered. 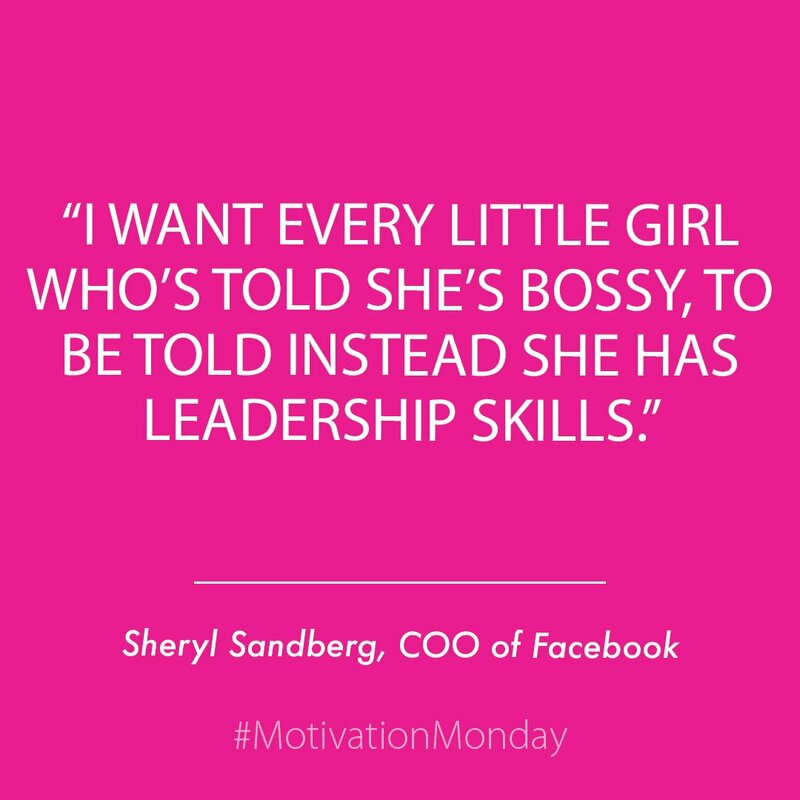 I think this is the essence of what Sandberg was getting at, but being bossy does not equate to being a leader. Let’s take a look. As we can see from dictionary.com, To Boss and To Lead mean very different things. to order about, especially in an arrogant manner. Instead of telling bossy girls (or bossy children in general) that they have leadership skills, we should guide them on what it actually means to be a leader. It’s easy to order others around. My son is only three months old and he’s already mastered being “the boss” by crying out whenever he needs something. As parents and adults who kids look up to, we can model what it means to be a leader. We can do this by example in showing patience, empathy, and embracing failure to learn from what went wrong. We can involve our kids in the processes of our lives so they can learn what it means to be a good communicator, help plan a family outing, and have an optimistic outlook. We can be proud of developing our children to be leaders in any aspect of their life. Because you don’t have to be promoted as the boss in order to lead. Does Ambition Take the Fun out of Hobbies? Hi! Thanks for your comment. I think you hit the nail on the head with the quote from your post, Women’s Literature: The next chapter. We have to define success for ourselves. 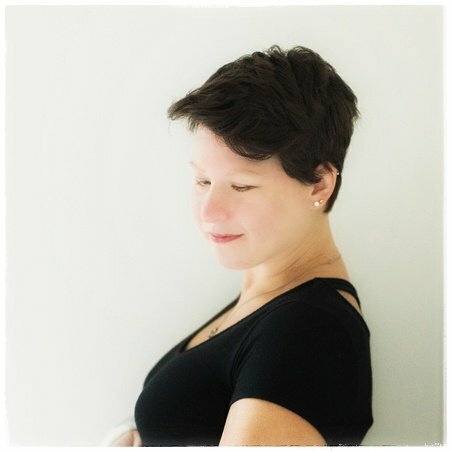 Trying to be someone were not as dictated by culture, media, or social pressures won’t bring us that joy. This take is a very interesting take. But she wasn’t saying that girls should be bossy; she was focusing on the fact that girls that exhibit the same leadership traits as boys are often labeled that way. So instead of developing those skills in girls, or even redirecting the behavior, we shut girls down. 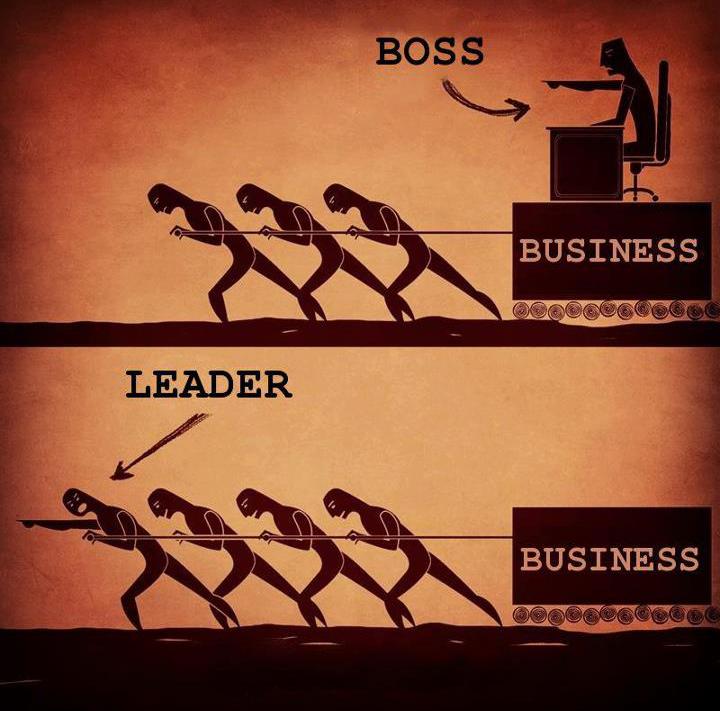 I agree that being a leader is very different from being a boss. Unfortunately, boys are more often given the opportunity to learn the difference than girls. Hello Tisa, thanks for your comment. Valid point. However, I do think girls are given plenty of learning opportunities to be leaders – maybe even more so than boys which is why we’re seeing the #MeToo movement and loss of chivalry in today’s society. Just because men may hold more leadership positions than women doesn’t mean they’re good leaders. Just because a woman is in a leadership position doesn’t mean she’s a good leader either, but she definitely deserves the opportunity to be there. I hope we’re able to teach all children good leadership qualities and not to judge people on their physical features but by their abilities.